Taylor Wiseman & Taylor provided engineering design and surveying services for Preliminary Design through Construction Consultation for this $12M highway project that focused on operational and safety improvements. 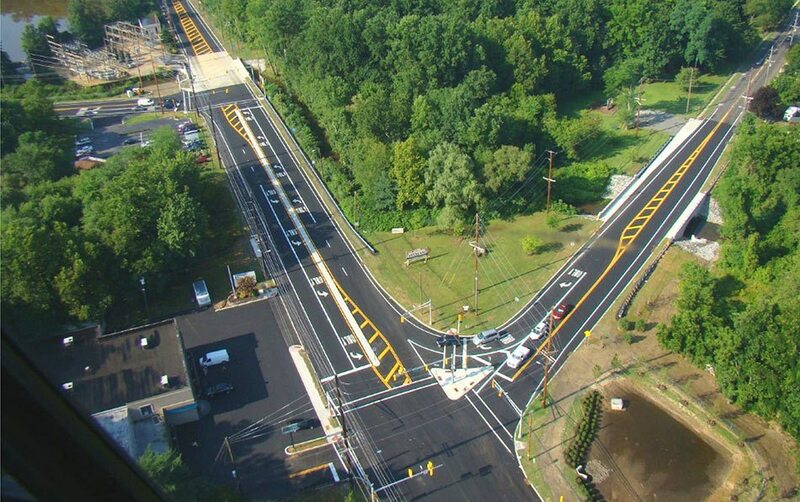 Our design efforts included 1.7 miles of roadway widening, intersection improvements, two new bridges over Mantua Creek, drainage improvements, utility relocations, two closely-spaced traffic signals connected to a single controller, ADA-compliant curb ramps, highway lighting, a traffic impact report, access improvements with modifications and adjustments, signing and striping, Maintenance and Protection of Traffic (MPT), environmental permits, design exceptions, and ROW acquisitions for over 30 parcels. The new structures included a single span pre-stressed concrete box beam bridge and a precast arch structure, both of which incorporated Context Sensitive Design treatments. MPT was developed using a multi-staged construction sequence including a center work area, detours, and temporary traffic signals. Topographic and property surveys were completed using both Data Collectors and GPS. TWT provided all Subsurface Utility Engineering services with in-house staff and equipment. The project area was environmentally sensitive and within a floodplain. Environmental permit involvement included stream encroachment, freshwater wetlands, stormwater management, contaminated soils/groundwater Section 106, Section 4(f), Green Acres, and coordination with NJDEP, SHPO, Green Acres, and the State House Commission. All designs were prepared in accordance with NJDOT Policies and Procedures, the MUTCD, and FHWA & AASHTO procedures and standards. The project followed the NJDOT Project Delivery Process Network Pipeline 2. Designs were performed using InRoads & all plans were prepared in CADD utilizing MicroStation.